Are you getting these error messages on your internet browsers? 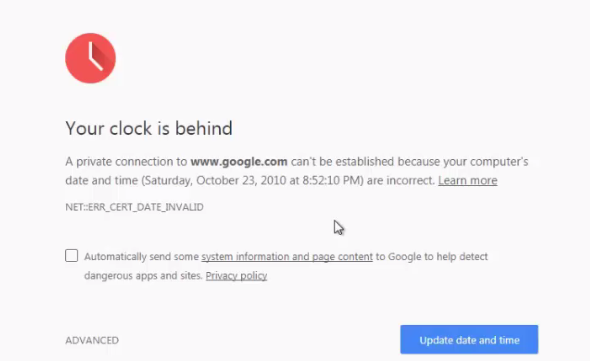 'Your Clock is Behind' or 'Your Clock is Ahead' error on Google Chrome? 'Your Connection is not Secure' error on Mozilla Firefox? 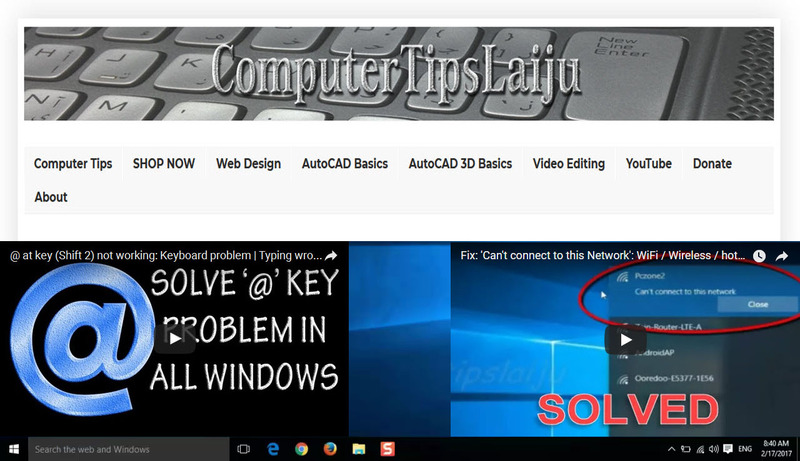 'There is a problem with this website's security certificate'error on Internet Explorer? First Try to fix the problem by Correcting your computer's System Date and Time. Consider replacing your computer CMOS battery to keep time settings accurate. Now all the latest Antivirus Software are web protection and Firewalls included. 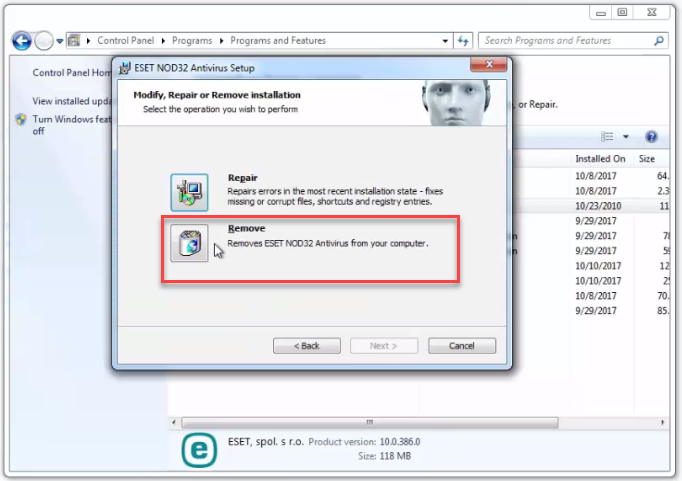 Here 'EST NOD 32' Antivirus is installed in this system. 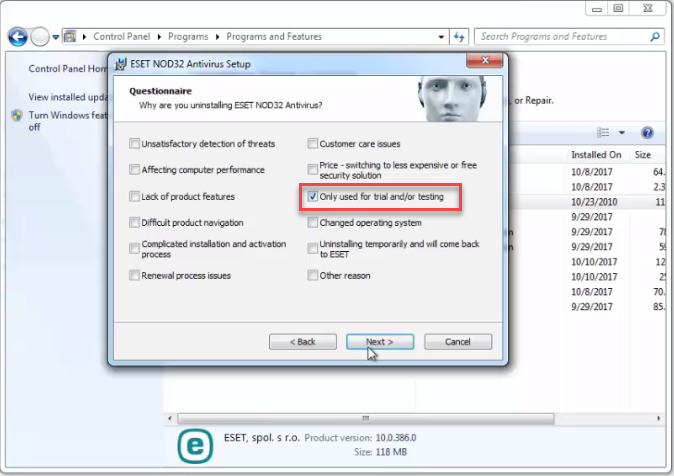 I'm going to remove this 'EST NOD 32 Antivirus'. 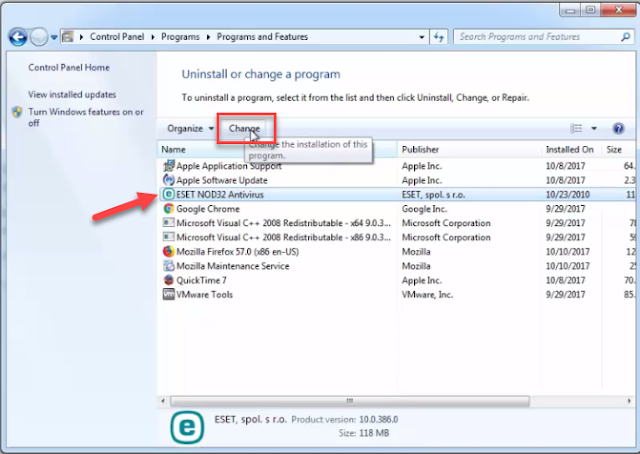 Navigate to Start-Control Panel-Uninstall a Program ( View by: Category). 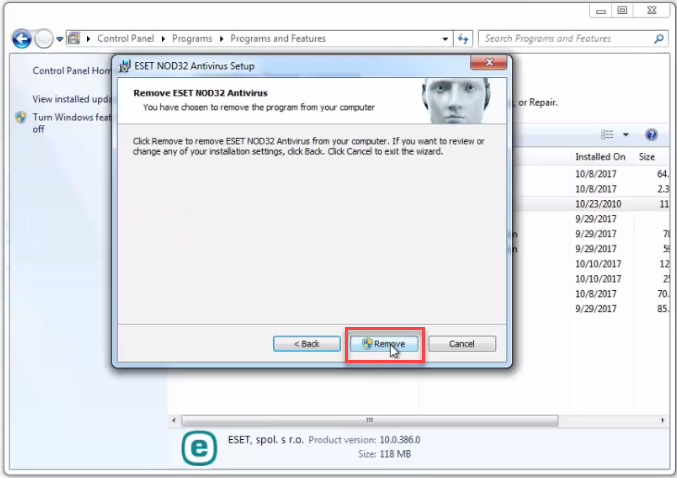 Select ESET NOD2 Antivirus and click Change. From the questionnaire you can select anything, here let's select 'Only used for trial/Testing'. 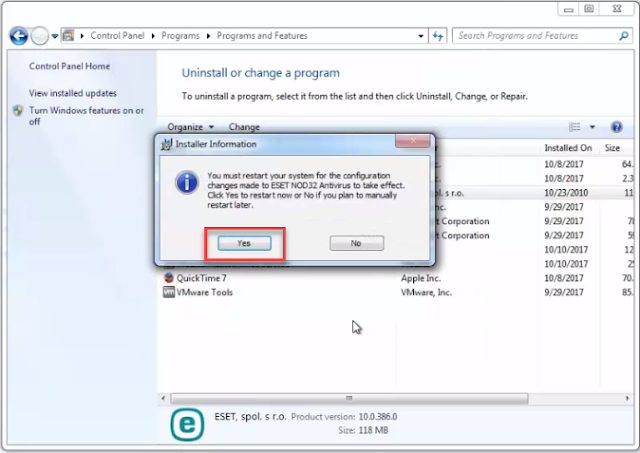 If your system UAC is enabled, you will get a warning message like this. 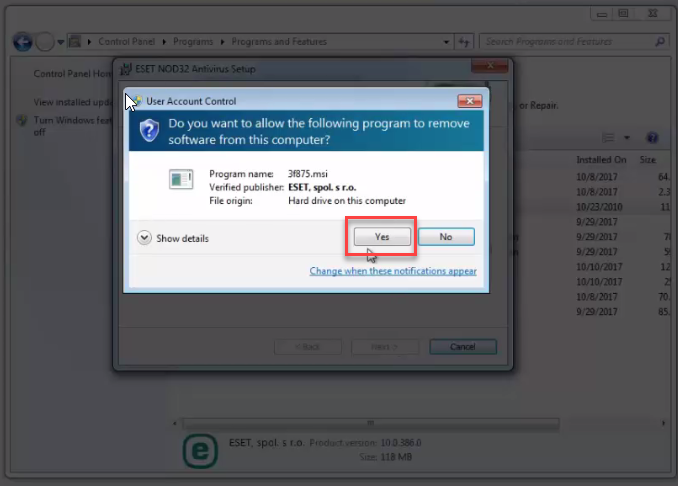 Click 'Yes'. 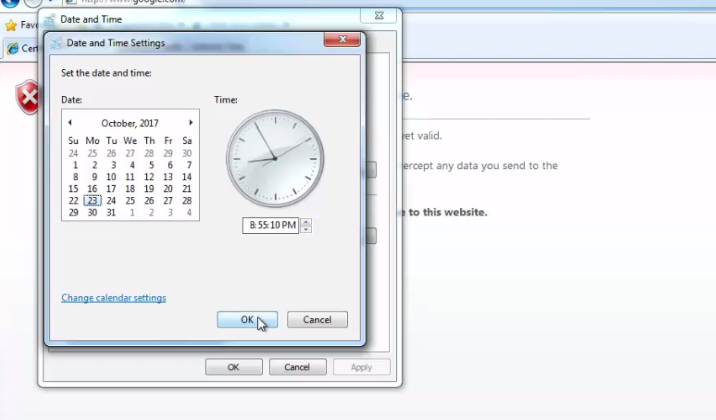 Before restarting Windows, make sure that the System Date and Time settings are correct. Then Click 'Yes' to restart computer. After restarting your computer check internet. It should work properly now. Don't forget to Install your Antivirus again (Here EST NOD32) and activate using the License key.